Double Walled Serological water bath is a versatile equipment to handle any clinical procedure, Incubation, Inactivation, Agglutination & Biomedical procedures. 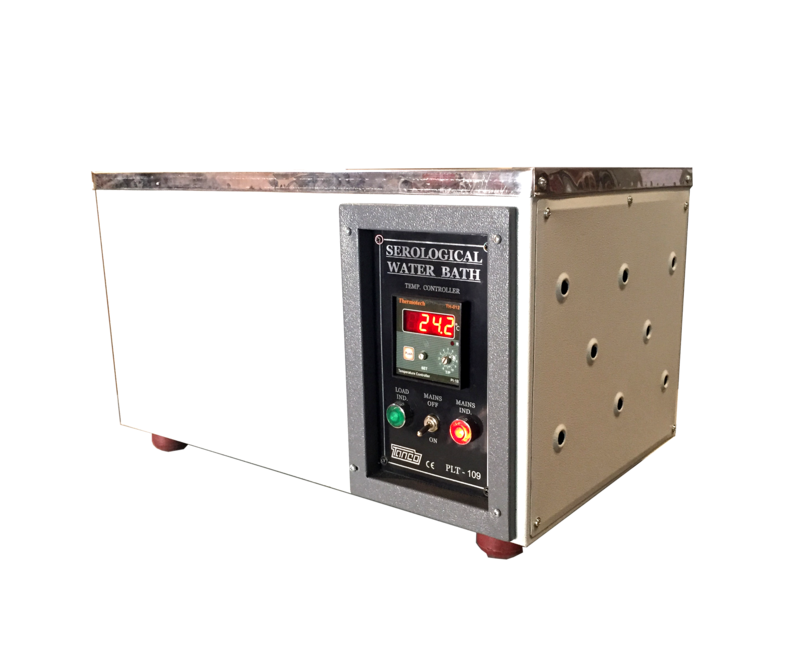 Double Walled Serological Water Bath is low cost options for Biotechnology, Clinical, Environmental, Medical, Petroleum, Pharmaceutical or Industrial Applications. Inner Tank and lid made of Stainless Steel (SS-304 grade). Outer chamber is made of Mild Steel duly powder coated. Flat Stainless Steel Lid prevents Evaporation. Temperature range up to 900C. Controls temperature within an accuracy of ±1°C. Thermal loss is prevented by filling mineral wool (Insulation) in space between the outer body & stainless steel tank. Fitted with drain plug for easy cleaning. Approx. Capacity 13 Ltr. 17 Ltr. 23 Ltr. 31 Ltr. Temperature control by By profile (Micro Programmable) controller. Stirring Speed Can be regulated by speed regulator.